Israeli troops have shot dead a Palestinian and wounded over 200 others in protests along the border with the Gaza Strip. The Israeli military said troops had responded with "riot dispersal means" and had operated "according to standard operating procedures," a term that refers to the use of accurate live fire after some Gazans broke through the border fence and attacked troops with firebombs and an explosive device. 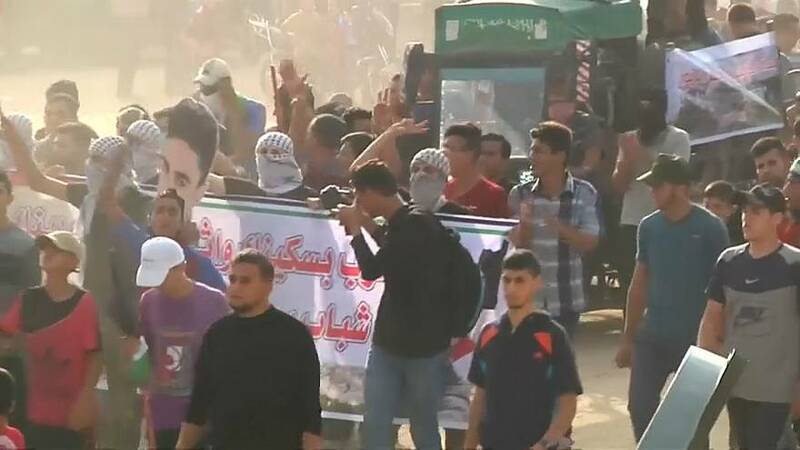 They said some 8,000 Gazans had participated in the protests at five locations along the border. The latest violence comes as diplomats seek to secure a ceasefire deal. The weekly Friday border protests began on March 30 but have reduced in intensity lately. Yet organisers have vowed to continue until Israel lifts economic sanctions on the coastal enclave. Israeli Prime Minister Benjamin Netanyahu cancelled a trip to Colombia next week and is due to consult with leading ministers on Sunday on proposals to end the tensions.